At the inception of the Epsilon Publishers Limited’s advisory board, it was important to set the right governance tone for the board once it was constituted. 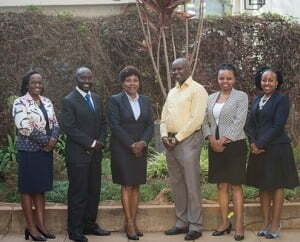 The Managing Director thus contracted a Dr. Patricia Murugami, Principal Consultant, Breakthrough Consulting Solutions to take the board members through a structured, comprehensive and practical induction to management styles, approaches to work, leadership, self-assessment and conflict management. On leadership, the board was taken through an in-depth self-assessment to determine their individual leadership and work styles. The activity was aimed at giving the board members a way of thinking about working with each other in teams; deepening their appreciation of everyone’s different work styles; understanding the need for a variety of work styles; reflecting on own individual work styles and identifying areas for growth; and, learning the qualities they can develop to become better leaders. The session on self-assessment and conflict management enabled the board members to identify their preferred conflict styles and the possible impact each style had on how they addressed conflict situations as well as define their motivations as part of the board. The induction was instrumental in building a strong, qualified advisory board; enabling the board to engage in effective risk management and futuristic thinking; allowing it to focus on what makes the board highly effective with attention particularly being paid to independence, composition, diversity and its leader’s roles; and also enabling the board to be more effective and deliberate in executing its mandate.